Injuries. Fines. Production delays. Employee turnover. Increased workers’ compensation insurance rates. Lawsuits. Criminal charges. Your business is subject to countless operational and regulatory risks, many of which involve environmental health and safety. Indeed, potential consequences for non-compliance with EHS regulations can range from minor penalties to the loss of your workers and the dissolution of your business. To help you avoid the endless list of things that can go wrong, we’ve created a list of things your organization should do right. 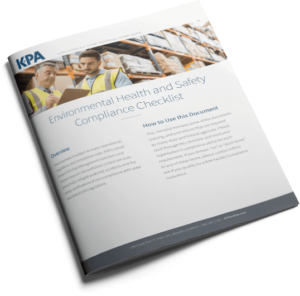 The Environmental Health and Safety Compliance Checklist itemizes the critical documents, training, and procedures many state and federal agencies require. 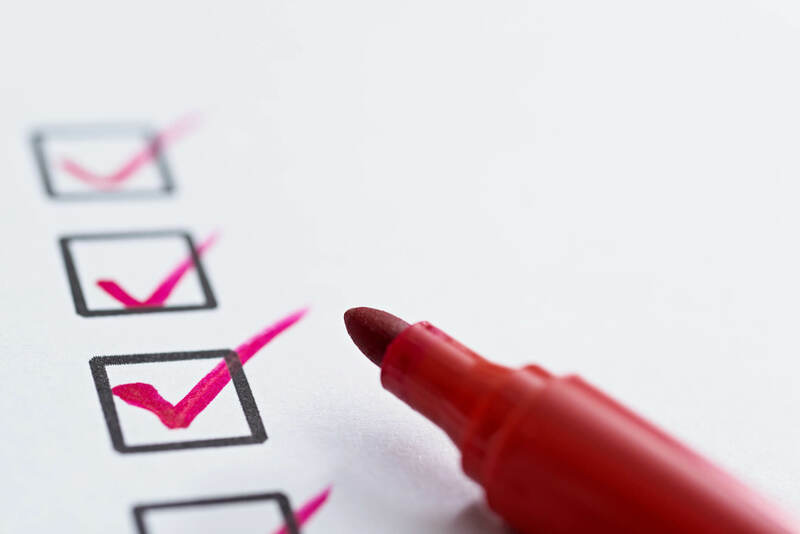 Be sure to read through this checklist and mark your organization’s compliance status for each requirement. If you answer “no” or “don’t know” to any of these items, contact us to see if you qualify for a free Facility Compliance Evaluation. Over the next few weeks, we’ll be exploring each of the items on the checklist further, offering tips and considerations for ensuring EHS compliance and keeping your organization and workers safe. As for the ramifications of non-compliance with state and federal EHS regulations—those are costly, grisly, and better left to the imagination. Don’t wait until you’re faced with a real-life incident to take action. KPA’s cloud-based EHS risk management solutions, combined with our on-site audit and loss control services, proactively mitigate potential accidents. Learn more. Your business is subject to many operational, regulatory, and compliance risks. Here’s a checklist that itemizes the documents, training, and procedures that are required by many state and federal agencies. How many boxes can you check?